This 1991 telefilm follows young undercover cop Tony (William Brandt) who gets in too deep when infiltrating a heroin ring in the underbelly of Wellington’s music and pub scene. 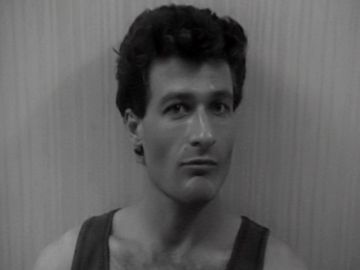 The Kiwi noir tale was inspired by real-life undercover policeman Wayne Haussman, who was convicted of drug trafficking. Directed by Yvonne Mackay (The Silent One), it was made as a pilot for a series that never eventuated. At the 1993 NZ Film and Television Awards Undercover won Best TV Drama; Jennifer Ludlam was awarded for her role as Tony's ex-prostitute girlfriend. Cliff Curtis plays a musician. Director Grahame McLean uses the notorious (then recent) 'Mr Asia' drug smuggling saga as fodder for this Wellington underbelly tale. Hello Sailor’s Harry Lyon headlines as a musician and ex-con who partners with a beautiful journo to investigate a global drug syndicate, in between nightclub sessions with fellow musos Beaver and Hammond Gamble. High on 80s guitar licks, Should I be Good? was made in the tax break era without Film Commission investment. McLean followed it right away with The Lie of the Land, becoming a rare Kiwi to make two movies back to back. 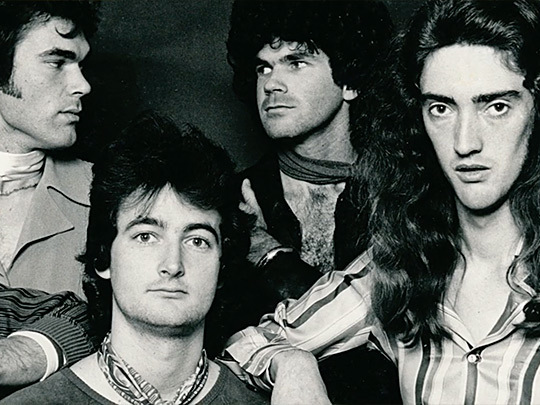 Dragon have produced some of Australasian pop music's classic anthems ('April Sun in Cuba', 'Are You Old Enough'). This 2015 documentary charts 40 rock'n'roll years: chart success, drugs, fame, failure, family, survival. The first excerpt looks at the band facing early success and tragedy; the second covers the impact of the 1998 death of singer Marc Hunter, especially on his brother Todd. The doco screened in the Prime Rocks slot. "Made with care and quite a lot of love", praised NZ Herald’s Greg Dixon, "by turns, sad and uplifting, which is no mean feat." 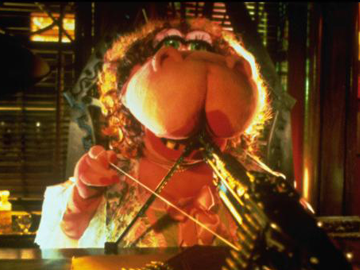 Director Peter Jackson's second feature Meet the Feebles offers even more bad taste than his debut. The irreverent, outlandish, part-musical satire is populated almost entirely by puppets, but it is by no means cute. The motley creatures are all members of a variety show that’s working up to a major performance. They include Bletch the two-timing pornographer walrus, an obese hippo femme fatale, a drug-dealing rat, and a heroin-addicted frog — in other words, something to offend everyone. Richard King writes about the creation of New Zealand's first puppet movie here. Katherine Kennard left drama school and immediately landed a role on Xena: Warrior Princess. Her big break came playing lawyer Joni Collins over four seasons of Street Legal. Since then Kennard has appeared in a range of TV dramas including Orange Roughies, This is Not My Life, Underbelly and Spartacus. She was also part of the cast of the comedy-drama Nothing Trivial. Screened on a TVNZ arts show, this documentary looks at how the strings were pulled on Peter Jackson's low-budget puppet movie Meet the Feebles. An old Wellington railway shed fizzes with energy and imagination as a team peppered with future Oscar-winners crafts the gleefully subversive Muppets parody. Jackson muses on his influences, processes and propensity for "savage humour" in a fascinating interview. Included is footage of his childhood films — war movies and stop motion animation made with his first 8mm camera. Richard King writes about Meet the Feebles here. 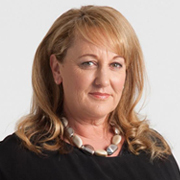 Whether on air or behind the scenes, award-winning investigative journalist Melanie Reid was a fixture of TV3 current affairs shows for over 25 years. As a reporter on 60 Minutes and 20/20, she went undercover to expose Neville Cooper's community at Gloriavale, and profiled Peter Ellis and David Bain. Reid also fronted 2006 documentary Let Us Spray, on chemical 245T. She now works for website Newsroom. 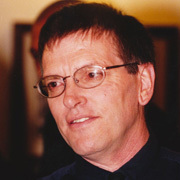 Although better known as a songwriter and champion of New Zealand music, Arthur Baysting has also made a number of contributions to the screen. In the 1970s he was a scriptwriter on breakthrough dramas Winners & Losers and Sleeping Dogs, while his white-clad alter ego Neville Purvis graced cabaret stages and a short-lived TV series. Since then he has concentrated on writing songs and screenplays.